For the first time since the early 20th century, America is seeing a flowering of entrepreneurship in the auto industry. Today at least 11 new electric car companies, each working on a wide range of technologies, have launched or plan to launch models. These upstarts are not modest. They believe they can do what major automakers have failed to do: bring an electric car to the mass market. Rick Woodbury had the idea for Tango while stuck in L.A. traffic jams in the early 1980s. 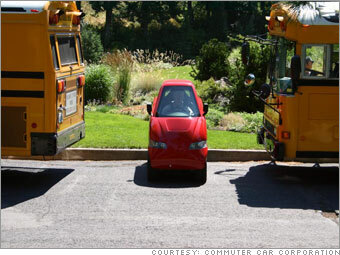 Realizing that there was always just one person in every vehicle, he envisioned an electric commuter car that is narrow enough to drive between lanes in the same way as a motorcycle, and short enough to park perpendicularly to the curb. In 1998, Woodbury built his first Tango prototype from a 1968 Fiat 850 Spyder, tearing it apart and reducing the dimensions to 8.5 feet-by-39 inches. Today, the T600 retails for $108,000 to $148,000. The first-ever made T600 gained instant celebrity status when it was sold to George Clooney in 2005. The company is now building ten more cars (three will go to Google founder Sergey Brin), most of which will roll out in 2008. Next up: the T200 ($39,000) and T100 ($18,000).